Seeing lots of graduation pictures on Instagram made me so excited to graduate next year, but equally made me come to the scary realisation that in one year I will have finished my degree and will be entering the real world! With worries but also excitement about what to do next, I know already that I will miss being a student at Plymouth so much. I cannot believe how quickly these 2 years have gone by (I know everyone says it, but it genuinely feels like I moved to Plymouth yesterday), and I feel like I’ve achieved and experienced so many things which are memories that I will treasure forever. I want to make the most out of my last year here at Plymouth, so I thought I would make a list of things I want to make sure I do. Hopefully I’ll read this back next year and tick them all off! 1. Explore living near the sea even more. It is not every day that you can wake up and walk to the sea front! The hoe is my favourite place to be, but there is so much more I want to see around Plymouth in both Devon and Cornwall. I love being outdoors and exploring new places, and I want to go on lots of coastal walks (I know there a lot around Plymouth) to discover more. Dartmoor is so nice as well and I’ve only been briefly so I want to go back! Cawsand bay looks amazing, so I want to get the ferry over to Mount Edgecumbe and go on an adventure. 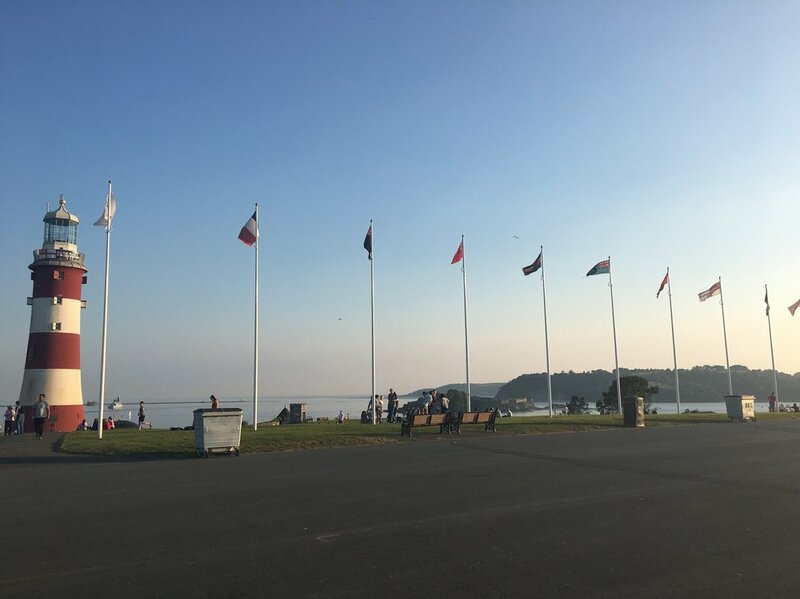 There is so much to see around Plymouth! 2. Make the most of living with friends. I love living in a house at university, and the people that you live with end up being like a little second family – so you never really feel like you’re away from home. I’m living in a house of 7 girls this year, and I’m very excited to say the least. It’s going to be so much fun! House Halloween? House Christmas? Flat roast dinners? Cheese and wine evenings? Summer BBQs? Absolutely! I know I’ll really miss the opportunity to live with my close friends, in a house located right near university, when I leave. 3. Use all the art workshops and facilities. 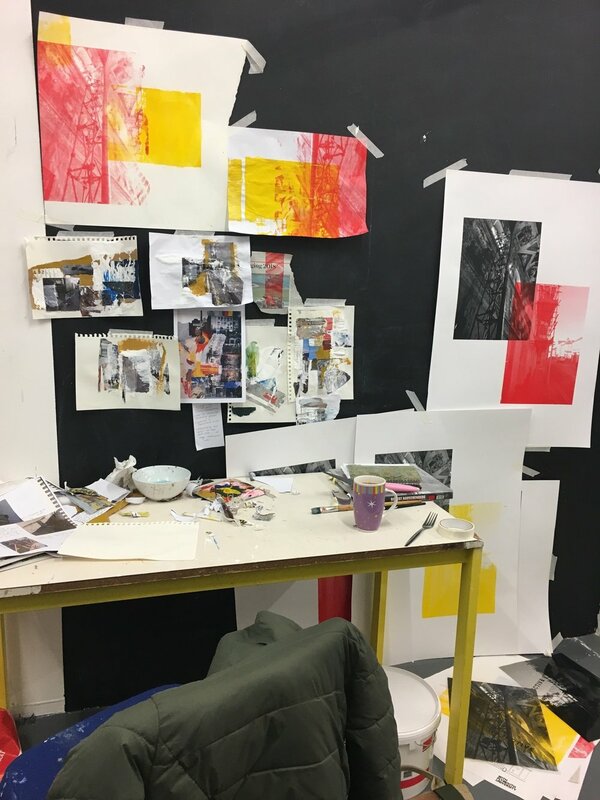 A huge advantage of being on the Fine Art course is the access we have to all the facilities. As long as we’ve been inducted on a workshop and can safely use the equipment, we have access to more or less whatever we need, to create what we want. We also have access to really helpful technicians and lecturers who are always happy to help. My personal favourite is the screen-printing studios, with everything we need to go through the whole process and create our own prints. This sort of thing I just won’t have access to after university (unless I do a master’s course in the art side rather than the art history side of my degree), so I want to make the most of it whilst I can! 4. Use my studio space as much as possible. Sharing a large studio space, located right by the sea at Royal William Yard, is one of the things I am going to miss the most when I leave. It is such a nice atmosphere (we all share ideas and help each other out) and I miss it over the summer, so I’m going to miss it even more when I graduate! I’ll really miss having my lecturers there whenever I need them to help me out and give advice for what I should do after university. They are so helpful and really care about our success and things outside of university too, so I want to make the most of them! Overall, I just want to enjoy every moment! I feel like I’ve blinked and my whole university experience is quickly passing by. I don’t want it to end, and so although I know that this year will be stressful with our dissertation and final degree show, I want to not sweat the small stuff and take it all in as much as I can! If anyone is reading this that is coming to Plymouth University this year and will be a fresher, I am honestly so jealous! I would do anything to rewind 2 years and do it all again!